Bill Cosby is scheduled to be in court Monday in a bid to stop several of his accusers from testifying in his sexual assault retrial April 2. According to NBC 5 Chicago, Cosby’s defense team is expected to argue with prosecutors over the potential witnesses at the pretrial hearing. 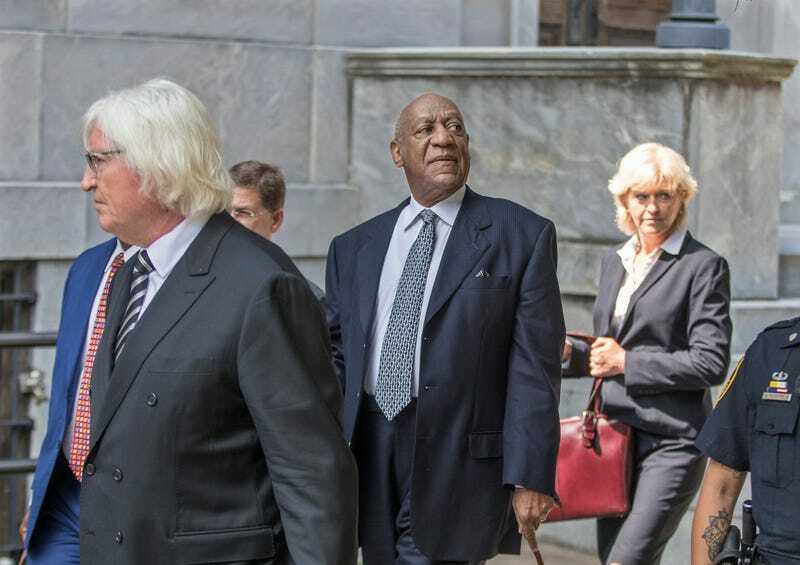 The Associated Press reports that prosecutors are looking to call as many as 19 women to the witness stand in addition to accuser Andrea Constand in order to show what they say is a five-decade pattern of Cosby drugging and assaulting women. Only one other accuser was allowed to take the witness stand at Cosby’s first trial regarding Constand, which ended in a hung jury last year, though prosecutors had proposed calling as many as 13. Thus, jurors did not have the context of any perceived pattern during the first trial. Prosecutors have since added six more witnesses to their list for the retrial. “Developing a defense to any of these outdated claims will require unusual amounts of investigative effort that cannot be completed by the present trial date,” the lawyers wrote, AP notes. The lawyers said that they would seek to delay the retrial if any of the other women are allowed to testify so that they could have more time to investigate their claims. Jury selection for the retrial is scheduled to begin March 29. The pretrial hearing comes just 10 days after Cosby’s 44-year-old daughter, Ensa, died of kidney disease, but lawyers have not indicated that they would seek to delay the hearing.